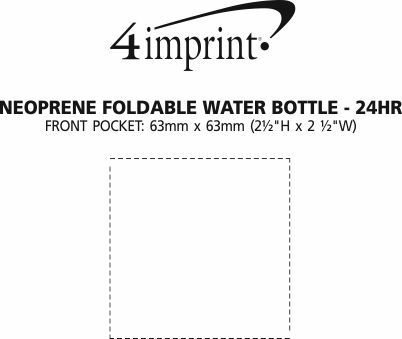 Print your logo on these promotional bottles in no time – 24HR! The BPA-free drinking bag is collapsible and lays flat to optimize space when stored inside a hiking pack or piece of luggage—a great water bottle alternative. Simply twist off the push-pull lid to fill or clean the water pack. The tethered cap protects the spout and won't go missing! 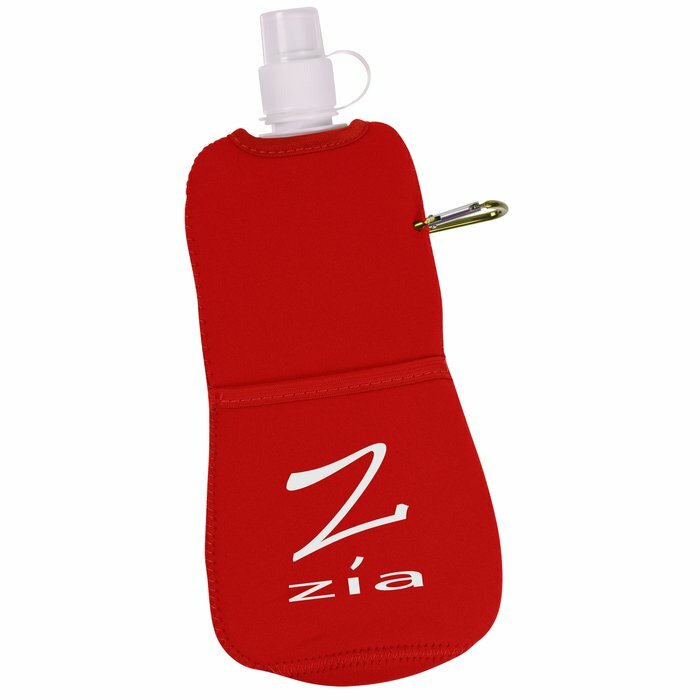 Held inside a neoprene pouch that helps insulate the water bag, keeping it refreshingly cold. Neoprene pouch has a front slash pocket, ideal for holding onto your locker key, gym membership card or other small items. Features an integrated colour-coordinating matching metal carabiner for holding or attaching to gear. A hydration pack is a must-have item for long-distance runners, campers, kayakers, hikers, hunters and other avid outdoors-people! It's also great for long trips or gym bags because it takes up less space in your bags. Size: holds approximately 400 mL (13.5 ounces). Your price includes a one colour imprint centred on the front pocket.